Jake, Steven, and Arman go agenda-free for the first segment and attempt to give hot takes. Former professional and now MLS analyst Bobby Warshaw calls in to chat MLS in review. Plus, we take a look ahead to 2019 with Gregg Berhalter taking charge of the USMNT. Lastly, it’s the Counter Attack with Jake Watroba. 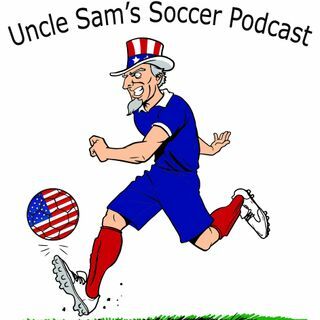 Follow us @UncSamSoccerPod! We always enjoy your feedback and comments, so continue to send them in! Don't forget that ... Más informaciones you can always find the show on any major podcast platform.